Following the discovery of the Roman bath house at Segedunum in 2014, there are still lots of secrets being unearthed and recovered at the archaeological digs going on around the eastern end of Hadrian’s Wall. What will the archaeologists discover in 2015? Visit the new Roman gallery and the travelling British Museum’s ‘Roman Empire: Power & People’ exhibition, and enjoy opportunities to learn more about objects which have been extracted from the archaeological digs. With lots of hands on activities on offer, there will be something suitable for all the family at our magnificent world heritage site. This entry was posted in E Newsletter and tagged Festival of Archaeology 2015, Hadrian's Wall, Roman, Segedunum, WallQuest, World Heritage Site on July 2, 2015 by cbanorth. The Secretary, Arbeia Society, Arbeia Roman Fort, South Shields, NE33 2BB. 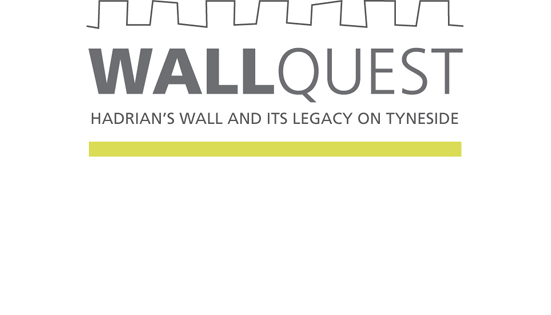 This entry was posted in E Newsletter and tagged Arbeia, Hadrian's Wall, WallQuest on August 22, 2014 by cbanorth. VOLUNTEERS are needed to help unearth hidden historical treasures at a South Tyneside landmark. Bosses at Arbeia Roman Fort in South Shields are appealing for people to join a community archaeology project exploring the eastern sector of Hadrian’s Wall. You can also contact Mr Hodgson, Archaeological Project Manager, Arbeia Roman Fort, Baring Street, South Shields, NE33 2BB. Alternatively, call 454 4093 or e-mail nick.hodgson@twmuseums.org.uk. This entry was posted in E Newsletter and tagged Arbeia, WallQuest on January 8, 2014 by cbanorth. The WallQuest Community Archaeology Programme involves local communities and volunteers in research and excavations along the eastern sector of Hadrian’s Wall. Look at the website for details on how to sign up, the projects and what has been found. This entry was posted in E Newsletter and tagged WallQuest on December 15, 2013 by cbanorth.